This program was held from 26 to 28 October 2018 at the Division of Innovation, UTM XCITE, S01, Kolej Tuanku Canselor, UTM Johor Bahru. SWJBUTM18 is a program that gives exposure to participants on various entrepreneurship concept and creative idea in solving problems as well as cultivating cooperation among the participants through several activities. Along with that, participants would also learn many business-related concepts such as ‘Business Model Canvas’, ‘Validation Board’, ‘Business Pitching’ and a lot more. 72 participants from public universities like Universiti Teknologi Malaysia (UTM) and Universiti Teknologi Mara Pasir Gudang, secondary schools and general public had joined this SWJBUTM 2018. 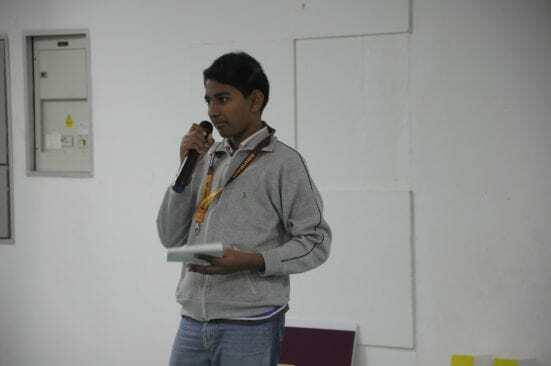 The participants formed fifteen teams with the ideas generated on the first day. Sixteen mentors from various background were invited to guide the participants in planning and executing their business plans and ideas. Among them were UTM alumni and lecturers who have vast experiences in entrepreneurship. The mentors included Founder of RunCloud.io, Mr. Arif Tukiman, Founder of Quick Halal, Dr. Iskandar Illyas, founder of DF Automation and Robotics, Dr. Yeong Che Fai, and ex-CTO at MaGICX, Dr. Farhan Mohamed. The closing ceremony of SWJBUTM18 was officiated by the State Local Government of Science and Technology Committee chairman, YB Tuan Tan Hong Pin and attended by the Director of UTM XCITE, Assoc. Prof. Dr. Mohd Zaidi Abd Rozan. 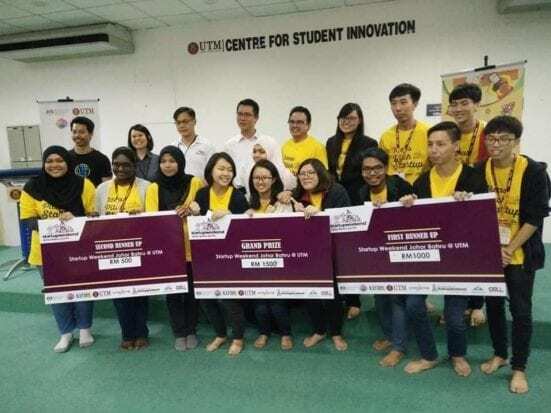 Team Easycle which consisted of UTM students represented by Azzahra Gozan, Pung Ye Tim, Yeh Yi Hui, Siti Zulaikha Zulkifly and Teo Jia Ying were announced the winner of the Grand Prize, taking home RM1500 in cash, a Co-working space at TXT, fund for project development and mentorship from TXT. The second prize went to MySkillUp which was also a group of students from UTM represented by Thirunavakarasu Doraisingam, Foong Siew Wei, Chong Wei Khang, George Sim Jeor Yi and Por Yu Kheng. They took home RM1000. The second runner-up went to Robota Vorsicht represented by Dakshayanie R. Vellan from SMK Sultan Ismail, Siti Nor Izani Md Syahir from UiTM Pasir Gudang and Nur Amirah Husna Umar from UiTM Pasir Gudang. They took home RM500. The other winners would get co-working space at MaGIC and have an opportunity to join MaGIC Pre-Accelerator Bootcamp. TXT also announced the special prizes for three other teams and they were AnswerMe, DoorIoT and Easycle.